When I read the “Letters to Vera” post on Brain Pickings, the words thoroughly picked me up and stuffed me into the stunned box before I finished the end of the post. I immediately followed the link to Amazon to view the price of the book. I’ve placed it on my wishlist. Regardless of how long I will have to wait to read more of these amazing letters, the excerpts Popova chose for her review of the collection punched a one-two through my ever-increasing cynicism (should I blame cynicism on age or relationship status?). On the one hand, the half-century span of Vladimir’s love letters to Véra do follow the neurobiological progression of love, moving from the passionate attraction that defines the beginning of a romance to the deep, calmer attachment of longtime love. On the other, however, they suggest that the very act of writing love letters can help sustain the excitement and passion of a long-term relationship, countering what Stendhal called the “crystallization” that leads to disenchantment. 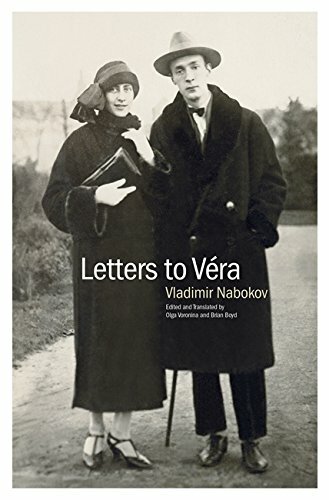 But I read these letters from Nabokov to Vera, and I can’t help but get the sense of deep love in his heart. How can love like that, even if only in words to one another, last a lifetime? How can such a deep belief in one’s own emotions and desire for another last? I don’t understand it. I have never seen it.